One-of-a-kind meets once-in-a-lifetime as the Virginia Museum of Contemporary Art (MOCA) begins to wrap up Turn the Page: The First Ten Years of Hi-Fructose, an unprecedented exhibition showcasing 51 of some of the foremost contemporary artists of our time in Virginia Beach on view now through Dec. 31, 2016. This MOCA curated retrospective celebrates the ten-year anniversary of the new contemporary art magazine Hi-Fructose. This exclusive exhibition features world-renowned artists such as Ray Caesar, Beth Cavener, Wim Delvoye, Audrey Kawasaki, Kris Kuksi, Travis Louie, Tara McPherson, Marion Peck, Jeff Soto, Gary Taxali, Erwin Wurm, and many others that have never been shown together in one place at one time. Accolades about Turn the Page have been numerous, along with the miles’ visitors are traveling to view this unique and rare exhibition. Ten years ago, two San-Francisco-based artists, Annie Owens-Seifert and Daniel “Attaboy” Seifert started an art magazine to share the type of art they loved. Over the years, Hi-Fructose magazine has become an influential publication with a devoted international readership, celebrating diverse art that transcends genres from artists who break away from conventional trends. If you haven’t viewed this spectacular exhibition, make plans now! Turn the Page closes Dec. 31, 2016. 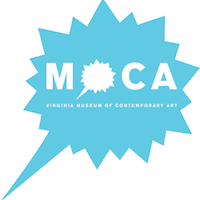 Visit virginiamoca.org for more information.